Can someone suggest me a beer with similar taste like Grimbergen Blanche ? Grimbergen Cuvee Blanche is in the style of a Belgian Witbeer aka "White Beer". There are are countless similar beers that are widely available. The archetype for the style is named Hoegaarden. The creator of Hoegaarden, Peter Celis, created another beer in the same style named Celis White. In the U.S., the most widely available example of this style is Blue Moon Belgian Wheat. Belgian Wit / Belgian Wheat style of beer has gained a lot of popularity in recent years and is an exceptionally easy style to find at any well-stocked bottle shop or craft beer bar in the US. Simply ask for that style and something similar to Grimbergen Blanche should be available. 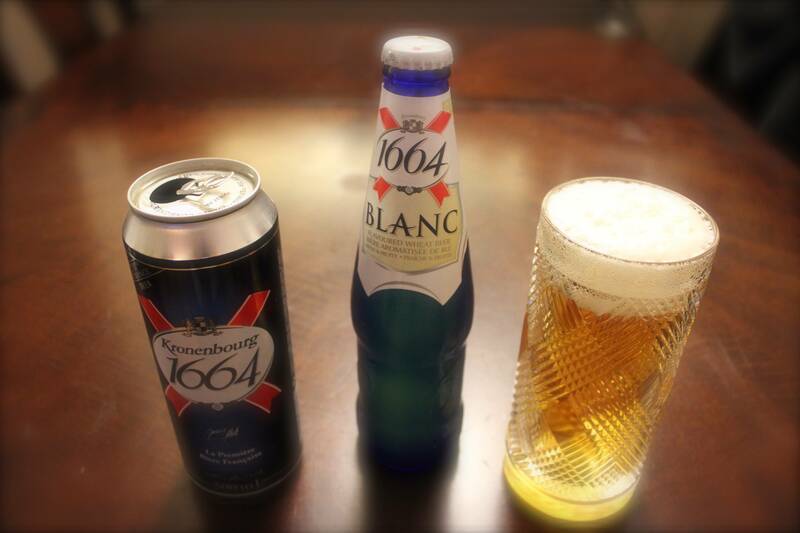 If You do enjoy Grimbergen Blanche You should definitely try out some Blanc 1664. It is light white beer - cold one is best choice at hot summer! As for me, the one in the bottle is better (like all of the beers). The taste of this beer is not suitable for everyone, some of my friends argues with "how could you drink this ?". I really do love the rich fruit taste and the lightness of the beer itself. Hoegaarden is indeed the typical white beer. They now have a "Speciale" and limited "Grand Cru" which is very nice. May be hard to find depending on your location. Brasserie du mont Blanc "La blanche"
Not the answer you're looking for? Browse other questions tagged style recommendations belgian-beers or ask your own question.